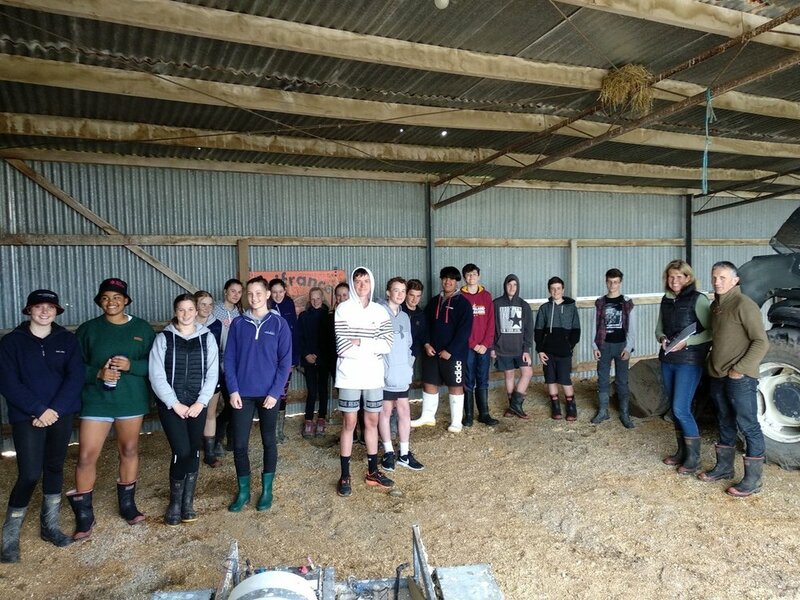 On the 6th of December, 2018 our Year 9 Agriculture class travelled to Rolleston to visit a dairy farm. It was an incredibly interesting and informative trip with lots of questions asked and answered about the type of milking sheds, how the farm operates, and the dairy cow breeding program. We saw cows being milked (some of us were a bit too close to the rear end of a cow for comfort! ), experienced how powerful the suction on the cups were, saw some huge Jersey and Angus bulls, and saw the computer system that monitors all the cows milk and health. We had a lot of fun and learnt so much too! Thanks Dairy NZ and School Kit!